For most, it is impossible to think about Japanese cars without thinking of Toyota, the brand being so longstanding and synonymous with the Japanese automobile industry. With that in mind, it will come as no surprise that the automotive company prides itself on its long history and advances in the modern-day industry. With a legacy of over 75 years and counting, it is easy to imagine that quite a few vehicles have passed through the automaker’s garage doors. During its ongoing quest to maintain the position as one of the world’s top car companies, Toyota has built a multitude of vehicles that have set the bar for generations to come. Luckily for us, when the company’s vast collection of cars seemed to have run out of space in the warehouse, the Toyota Automobile Museum was founded. Not to be confused with the Toyota Commemorative Museum of Industry and Technology (an equally interesting place), the Toyota Automobile Museum was created in 1989. The current Main Building of the museum is now home to about 120 unique vehicles. Although countless more models have been built by the automaker, here you will only find the cream-of-the-crop. Perfectly preserved in factory condition, cars ranging from the first AA-type, to the world famous 2000GT driven by James Bond, are set on display for a complete look-around . What is particularly unique about the Toyota Automobile Museum is that the company also prides itself on its foreign car collection. Recognizing the vast range of vehicles from abroad that have shaped the company’s history, the museum has hosted some of the world’s most groundbreaking vehicles including the Benz Patent-Motorwagen, the Tucker Torpedo, the ever-popular DeLorean and more. Keeping both permanent and rotating cycles of cars, every trip is well worth the ¥1000 admission fee for adults. Staying true to the motor-heads among us, the museum also encourages car collectors and clubs to rally together on site creating the occasional impromptu car show. Even with all of these offerings of the museum, Toyota has made a point to make sure its investment in the future is well looked after by including hands-on centers for children to learn and interact through various activities. Naturally, as a company that conducts itself as the nation’s four-wheel ambassador, guests will find a thorough exhibit of the company’s history and rise to its current status. In celebration of the museum’s 10 year anniversary, the Annex building was added to showcase Toyota’s history and the impact it has had through various industries over the years. Research and design-driven projects such as precision racing F1 cars and the groundbreaking LFA are among the models within arms reach. Taking a step back in time, more utilitarian vehicles are on display that encapsulate the past with perfectly-preserved delivery trucks and service vehicles. Of course, since they are all Toyotas, you can rest assured that they are ready to start up should they be called to duty. Located just outside Toyota City in Nagakute, the area surrounding the museum was chosen specifically for its openness and serene backdrop of greenery that leads into the mountains. Just across the road, Moricoro Park hosts many of the annual events held by the museum including the Classic Car Show, where Toyota President, Akio Toyoda, often appears. 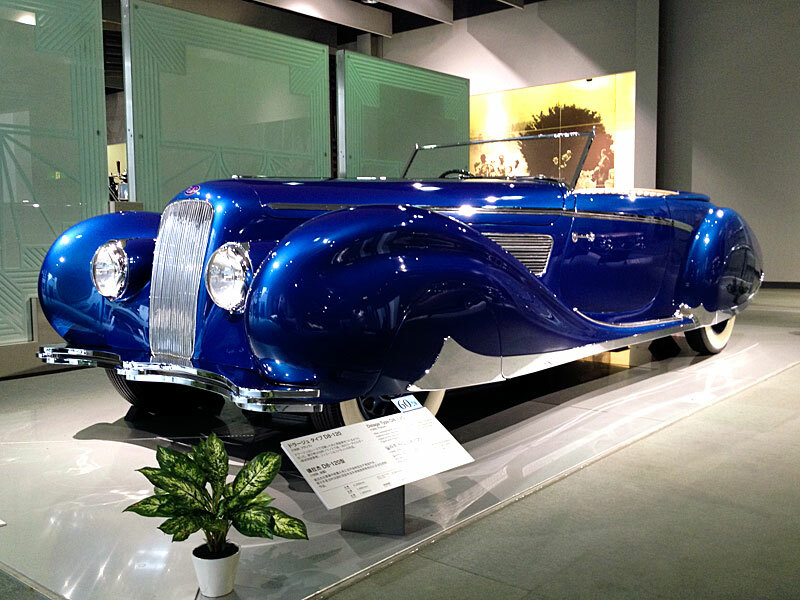 If you find yourself in Aichi Prefecture, or need a reason to go, the Toyota Automobile Museum should be on the top of your list. Even if you do not consider yourself a “car person,” Japan’s history through industrialization echoes through the halls of each exhibit. Axiom Magazine is Japan’s leading source for newly released and hard to find information focused in the areas of gaming, culture and entertainment. We represent a small part of a bigger idea of bringing Japanese culture and achievements to an international stage. cool article about Toyota Automobiles, thanks!